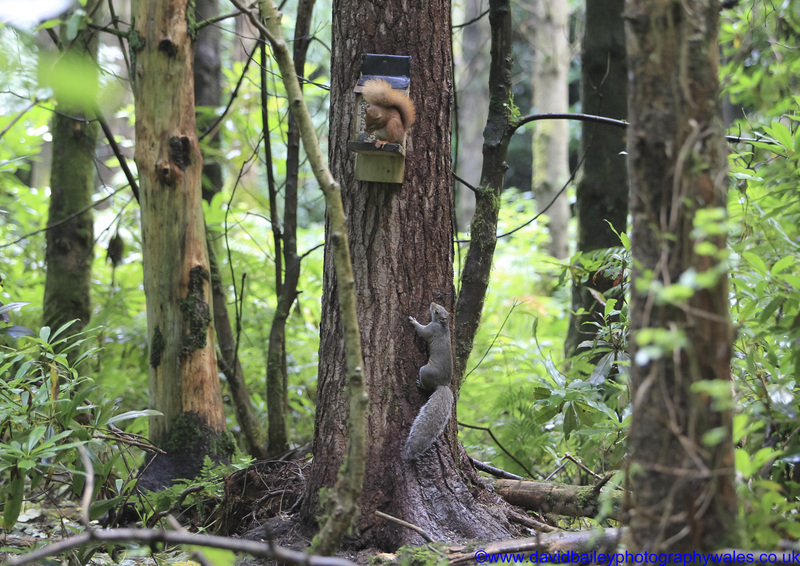 This exciting new project will clear grey squirrels from the City of Bangor(Gwynedd) and the surroundi ng 90km2 landscape area of coastal plain and mountain valley. 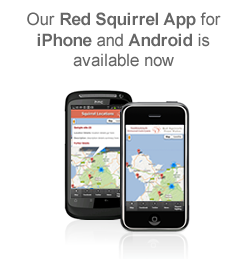 A small red squirrel population is present in the Faenol & Treborth woodlands adjacent to the coastal Menai Straits, and some animals have been recently sighted several kilometres inland. There are also a handful of records from gardens in the Penrhosgarnedd area of BangorCity itself. 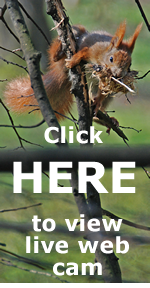 Working with landowners and community volunteers, Red Squirrels Trust Wales have selected a project area which, if cleared of greys, offers a relatively defendable red squirrel refuge area. With a rich array of mixed broadleaved woodlands and small coniferous plantations, the 1500 hectares of habitat is bordered by coast, mountains, saltmarsh, and mudflats. Woodland connectivity to other areas beyond is limited except for a southern zone between the Snowdonia Nant Peris pass and Caernarfon. Here lies an agricultural plain with patchy woodland cover and river systems flowing northwards rather than leading into the red squirrel refuge area. 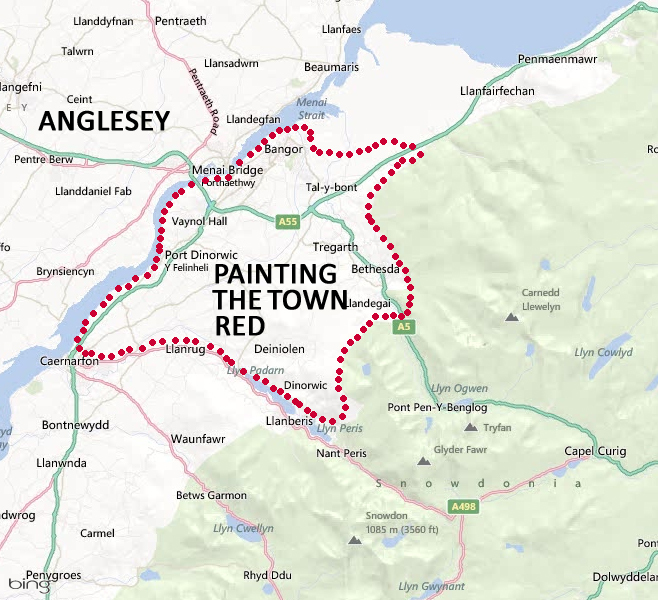 The Painting the Town Red project will not only create a mainland refuge area for red squirrels but prevent grey squirrels from venturing along the Gwynedd coast and crossing into the island of Anglesey.